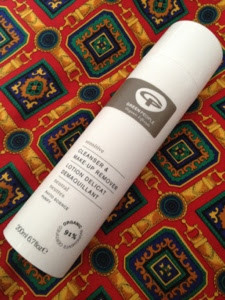 As a lover of natural skincare, I was really excited to try out Green People's sensitive scent-free cleanser*. An organic skincare company, Green People products are free from SLS, parabens and synthetic fragrances. The scent-free cleanser is a creamy, thick lotion that can be used to remove makeup and cleanse the face. They really do mean it when they say it's scent-free. 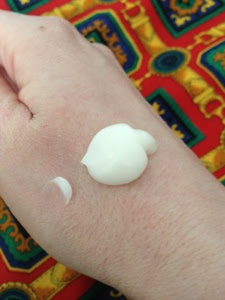 I am quite fussy about using scented products on my face, as sometimes even essential oils can cause a reaction, but this super gentle lotion really delivered. It removes makeup really well, and one pump does my whole face (I massage it in with fingers and wipe away with cotton wool). Because I wear so much eye makeup, I tend to use a separate squirt for my eyes, applied to a cotton pad and massaged off. It gets rid of all my mascara, and black liner, without leaving behind any greasy residue. I've been really impressed with this product. It retails at £18.95 for a 200ml tube, which I think will last a good 3 or 4 months when used twice a day. This might be a very kindly sent PR sample, but when this runs out, it will be a very close toss-up between this and my holy grail REN cleanser as to which one I repurchase. If you have sensitive skin, or just prefer a cleanser that is perfume free, then I think this would be perfect for you. Have you tried anything from Green People before? *PR sample - my views as always, are completely honest. Green People were one of the very first brands I went to when switching over to natural products. It's a great company and I always recommend them if people are sensitive or have eczema (or similar conditions). I've found it really great to use - have been impressed with everything i've tried from them so far. I'm not really in to cream cleansers because I never feel they remove my eye make up well but that is great that this one really works and no residue! 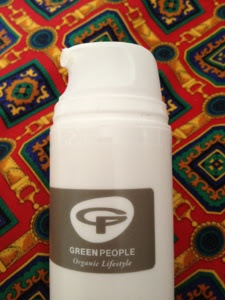 I'm a massive fan of Green People, I've used one of their other cleansers and think its fab - glad you liked this one!